Zola's inspiration for Thérèse Raquin came from the following real-life incident : a married woman had an affair with her husband’s best friend and then plotted to murder her husband with the help of her lover. Once the murder had taken place, the lovers were free to marry but their love soon turned to hate as they blamed each other for their crime until they eventually killed themselves leaving a signed confession behind. Zola was fascinated by this story, which he came across when working as a journalist in 1866, and he used it as the basis to write what was to become his best-selling novel Thérèse Raquin. The novel is a masterly portrayal of Parisian petty bourgeois life in the late 19th Century and the darker, hidden elements of that society and Zola subsequently turned the novel into a play. Seemingly a love story at the start, the dramatic brilliance of the play, however, lies in its slow descent into the murky depths of murder, guilt and revenge. The production took place at The Riverside Studios in 2008. CAST: Jed Aukin, Matt Cooper, Beverley Eve, Odette Garvey, Valia Phyllis Zwart, Neil Sheffield, Alexander Zwart. A startling and intimate description of Mozart’s life exists in hundreds of carefully preserved letters that he and his family wrote to one another over a period of thirty years. Using these letters to drive the narrative, The Mozart Story charts Wolfgang Amadeus’ life from childhood up until his premature death at thirty-five and his story is told through the intermingling of dramatic scenes and over fifty of his compositions including arias from Cossi fan Tutti, The Marriage of Figaro, Don Giovanni and The Magic Flute that were all sung live. 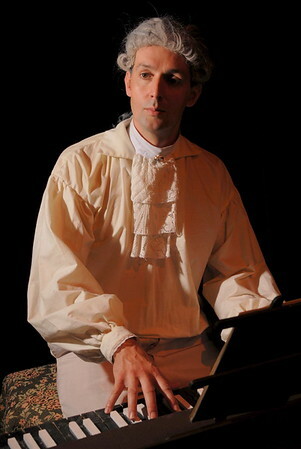 The Mozart Story was part play and part opera and the ensemble cast portrayed over thirty different characters from Mozart’s life including Johann Christian Bach, Joseph Haydn, Casanova, Beethoven as a young teenager and the Princess Marie Antoinette as a child. The production was staged at the The Rhoda McGaw, Ambassadors Theatre, Woking in 2007.